Thanks to Hearts and Hammers! 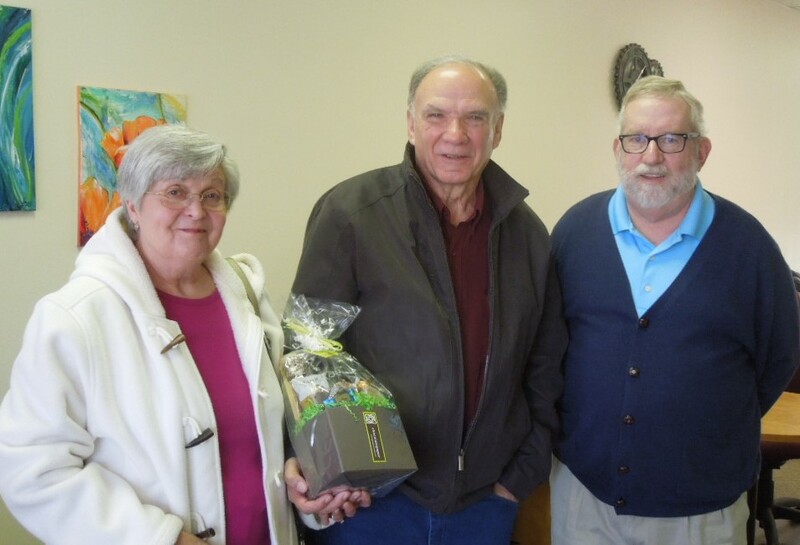 Dublin Baptist Church’s representatives from the local volunteer-led program, Hearts and Hammers, Debbie and Dave Clonch, received a gift basket given in appreciation by New River Valley Disability Resource Center’s Executive Director, Frank Hayes, in our offices in Christiansburg, Virginia. Hearts and Hammers Program volunteers provide labor and work to acquire funding for projects, including installation of roll-in showers, accessibility ramps and grab bars for disabled persons in demonstrated need, within the Pulaski County, Virginia region of the New River Valley.